Need an extra kick to get you through the season? maybe even third winter cold (or dare I say flu). whole thing of being sick and tired. I’ve shared my all-time favorite cold buster here before. through a cold (or even just the day), then I’ve got a two-word secret for you. And, it’s one of my favorite drinks. What the hay is Fire Cider? 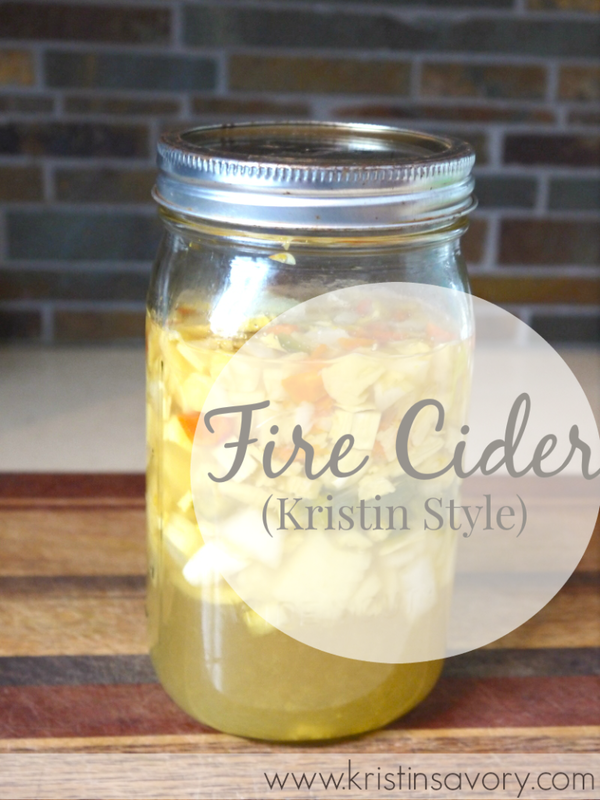 Fire Cider is one of those magical tonics handed down over the course of time. that simple kicks major booty in the infection department. 3. Put the ingredients in a jar and let them soak in apple cider vinegar for a week (or longer). There’s no baking, no broiling. There’s no fancy mixing or mashing. We’re talking chopping and soaking. That’s it. Fire cider sounds like it’s going to be a hot and spicy number. and spicy thanks to the cider soaked onions. 1. A Splash in Water: Take is as a tonic any old day and put a splash of fire cider in water. to boost immunity and keep you hummin’ along. with a pinch of salt and you will be in heaven….guaranteed. 4. Cough Syrup for Kiddos: Just add 1Tbsp honey to 1-2 Tbsp fire cider. spice so that your little one’s can go cough free. Holy canoli, I absolutely love sharing these health secrets with you. It feels so good to give you the concrete steps so that you can take fabulous care of yourself. Go ahead and pass this recipe on to a good friend or two, because everyone deserves to feel their best. Here's to being sniffle-free any old time of the year!